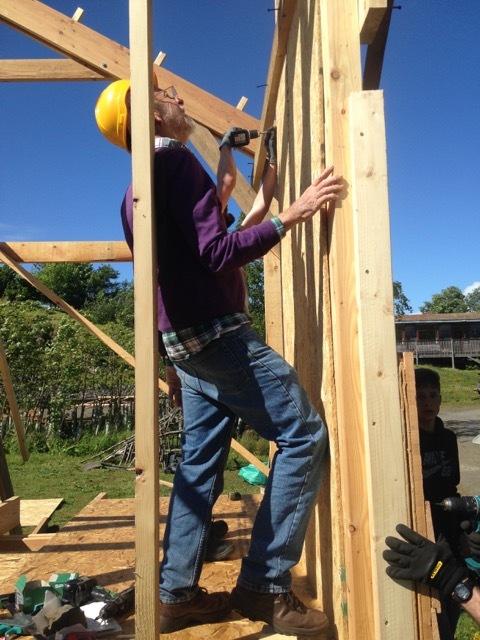 Our first self build course took pace this weekend, run by architect Duncan Roberts. The 3-day course provided an introduction for those wanting to build their own house, shed, workshop or even a cabin in the woods. 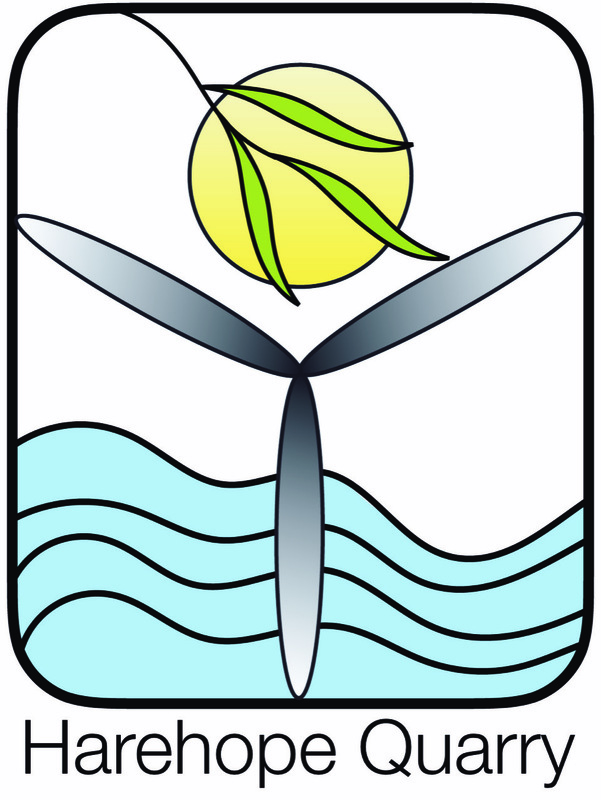 The course introduced the Walter Segal self build approach to construction, which is uniquely organised so that anyone who can use basic tools such as a saw, hammer, drill/driver, tape measure, etc. can build a house. This can create large savings in construction costs. No wet trades are used (like bricklaying and plastering) as theses skills which are more difficult to acquire. 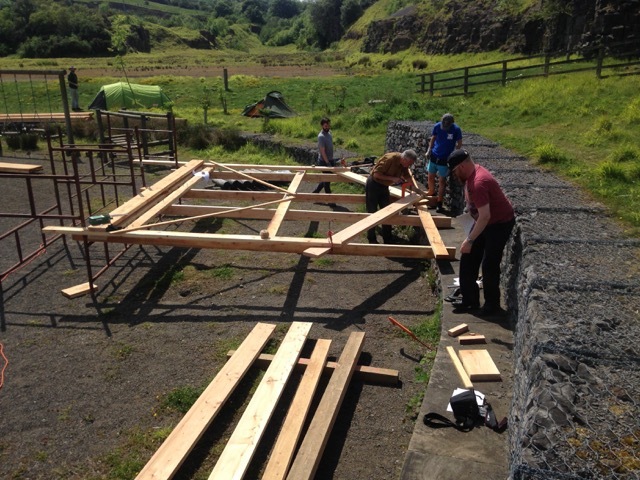 This course concentrated on building two of four frames for a workshop, which will extend the existing straw bale workshop in Harehope Quarry. 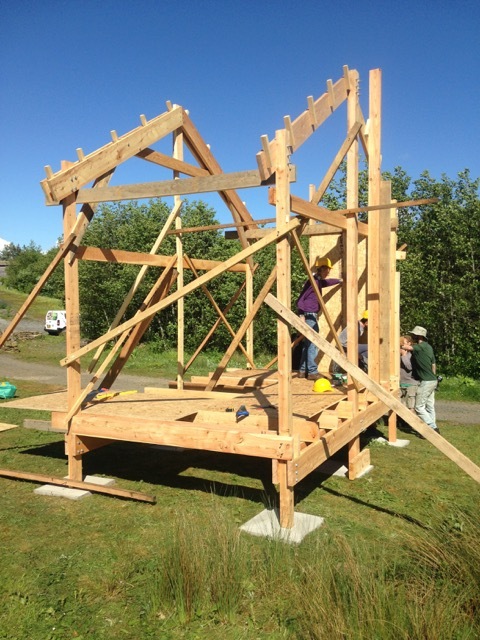 The structure was put up in a temporary location and the frames will be taken down and then raised again. There will be lots more opportunities to get involved in the final workshop build in the coming months.